Hello, all! 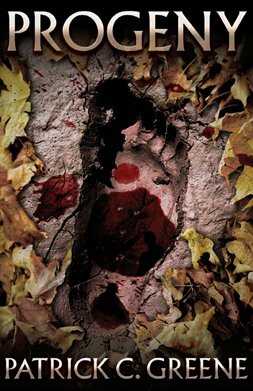 Today I have an interview with Patrick C. Greene, author of Progeny, a Bigfoot novel from Hobbes End Publishing. Click here to get it from Amazon either in print or as an eBook. Michael K. Rose: Patrick, could you tell us a bit about yourself and your writing? 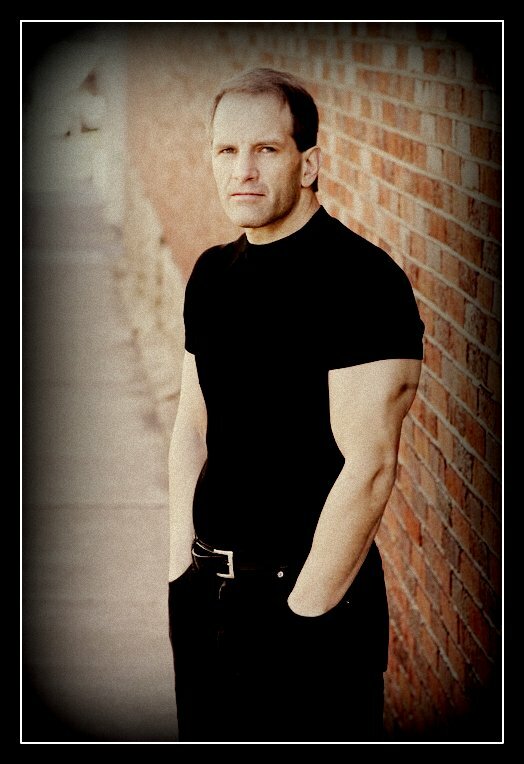 Patrick C. Greene: I'm a longtime resident of Western North Carolina, a horror and samurai film fanatic, sometimes-actor/stuntman/screenwriter, full-time dad and husband. My father was a journalist/novelist, so I got an early dose of writing and found it to be as great an escape as any passive form of entertainment. I write short stories, novels and screenplays, mostly in the horror genre. MKR: Tell us about your new novel Progeny. PCG: The story goes a bit like this: a writer named Owen Sterling, having just purchased a large tract of forestry from a Native tribe in the mountains of North Carolina, moves there and promptly finds signs of something strange lurking in the woods. After investigating, he determines that he is neighbors with a family of Sasquatches. He makes a decision to keep the monsters a secret at any cost, refusing to allow anyone on his property. This engenders resentment among the local hunters and drives a wedge of secrecy between himself and his young son Chuck, a city kid who comes to visit for the summer, just about the time the hunters are embarking on an excursion onto Owen's land--and the territory of the monsters. It's my first serious novel (I wrote an earlier one when I was much younger, that I will undoubtedly re-visit sometime soon) and one of the most meaningful writing experiences I've ever undertaken. It is dedicated to my oldest son Deklan, a fine writer himself with whom I will be sharing space in the upcoming THE ENDLANDS VOLUME 2 anthology from Hobbes End Publishing, who are also behind PROGENY. MKR: How did you come up with the idea for this book? PCG: Living in a pretty rural area and reading/watching way too much horror, my imagination will often shift to how my isolated surrounding could lend itself to all kinds of interesting scenarios. Having a lifelong interest in all things monstrous, I've often asked myself how I would react if I encountered a Bigfoot type creature. The experience is said to be so traumatic that it leaves one absolutely immobile. At any rate, kicking that around, I saw a story there. It was important to me that the monsters be more than just the Threat of Death--they had to represent a sort of mirror into which some of the protagonists must be forced to look. MKR: Do you plan a sequel to the novel, or at least more Sasquatch stories? PCG: I love these characters enough that I could easily see myself doing another one. However, I would have to take it in a vastly different direction. I would never want to just repeat myself, or just throw the same situation into a different setting. There are some other ideas involving Sasquatches and other cryptids in the ol' notebook, so I'll just have to see what happens with this one. MKR: Tell us a bit about A Shotgun Wedding. PCG: A Shotgun Wedding is a dramatic thriller I'm writing for a production company called CineFoundry that takes the concept of wedding day jitters to its absolute max. In it, a sweet young lady named Alyssa is about to get married for the second time, after escaping the clutches of her sinister and psychotic first husband. He's believed to be dead--but guess what? He's crashing the wedding. That will likely shoot next fall somewhere in Ohio or possibly North Carolina. There's a teaser trailer and lots of info at www.ashotgunwedding.com. I'm also writing some projects for SaintSinner Entertainment in New Jersey. MKR: What are you working on now? PCG: Aside from the aforementioned THE ENDLANDS VOLUME 2 coming in November, I'm eager to start my next novel and also to finish a collection of short stories, but for now, along with spreading the word about PROGENY, I'm trying to raise awareness about a couple of charities that are near and dear to me. Scares That Care is an organization that provides comfort and assistance to ailing children, helps fight breast cancer and helps care for burn victims. They're always auctioning off amazing horror memorabilia, so it's a fun way to give. They can be found at www.ScaresThatCare.org. Also, Jackie Chan is doing great things with his Dragon's Heart Foundation. Kids can help him build a school for a dollar! And finally, the sCare Foundation (www.scarefoundation.org) was put together by the producers of the Halloween film series to help teens in poverty get on their feet. MKR: Thank you so much for the interview, Patrick! I already have my copy of Progeny and look forward to reading it. You can connect with Patrick C. Greene at his website, Facebook and Twitter. His Amazon Author Page can be found here.